Jump to video Is Huntsman running away from his roots? Former Utah Gov. 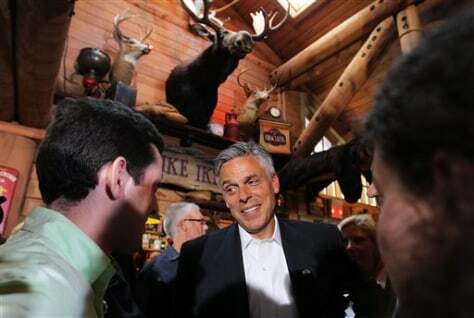 Jon Huntsman, center, talks to people at a Meet and Greet on Thursday in Lebanon, N.H.